United Sudan Liberation Movement sympathizes with the people of New Zealand after the horrible massacre in two mosques in Christchurch. 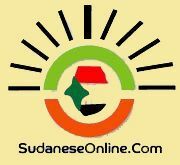 We in United Sudan Liberation Movement were utterly horrified to hear of the most bloody attacks on two mosques in Christchurch in which 49 innocent people were killed and other 48 were senselessly injured including children. Our thoughts and prayers go to the families of the victims, the Muslim community and all New Zealanders at this critical heartbreaking moments. We grieve with you. We have gone through this difficult path and are still going through it as the Sudanese regime is still committing crimes against humanity, war crimes and genocide in Darfur for the last 17 years. 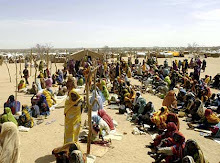 On March 14th, 2019, the Sudanese allied militia committed a massacre in Ardamatta camp in El Geneina in which 5 innocent camp dwellers were killed and more than 5 others were injured. This horrendous atrocity is a threat to entire humanity who cherish freedom, tolerance and peace. We must not allow hatred in all its forms. We must defeat it. The prime minister Ardern’s bold step in vowing to change gun laws will immensely foster tolerance, freedom of expression and peaceful coexistence. May those injured recover soon.